I started a new temp job last week, an assignment that’ll probably last until August (unless I find something full time before then). Not only does the work have a nice variety, but the place is super laid back. On Thursday, I was told to bring a book with me because the next day would probably be slow, and we could read if there was no work to be done. Instead of reading the whole time, I started on a story that I’ve been wanting to write for awhile, but the details just came together this week. It’s a twist on a Greek myth, with the female main character relating it years later to the male main character. In this chunk, she’s just met him and noticed his unusual eyes – blue, when everyone else’s are brown. At this point, she’s annoyed by him because she perceives him to be yet another self-absorbed hero looking to marry a princess. “My adopted father says they’re a gift from the gods, marking me as their favorite,” you said as you grinned at me, as if expecting me to be impressed by this claim. As I turned my horse, I noticed the brief crestfallen look on your face and smiled to myself. Even after so much time has passed, I still take great pride and pleasure in being one of the few women ever able to reject your advances. Now you can say you’re getting paid to write ;) Nice little dialogue. Enjoyed the dialog, yup, always satisfying to surprise the guy all the girls fall for! Terrific snippet! A twisted Greek myth! :) Cool, anxious to see more. I get a kick out of her still being proud of deflating his sails. In the last sentence, I think you meant “pleasure” instead of “please”. I like it — what a terrific character voice, and a terrific idea for a narrative! This sounds unique! I like her pride, but wonder if she had it thrown back into her face in coming years. I love Greek mythology! A bit confused, is she the sun? Or was she referring to Apollo and his fiery steeds getting tired? I meant it as being in the sun is tiring, but I might change it to a reference to Apollo, seeing as he’s a character later in the story. 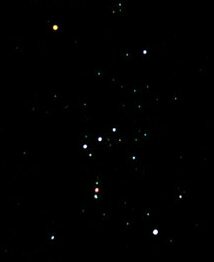 Is Orion involved, or just the constellation? Nice excerpt. I can feel her amusement. This is a great setup for what could be a very dynamic relationship (I’m a little smug on her behalf ;). I hope you’ll share more next week! Yay for working at a place where you can write on a slow day!